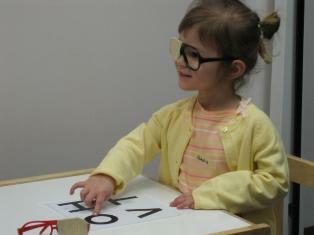 Innovative Health Solutions nurses are certified hearing and vision screeners. 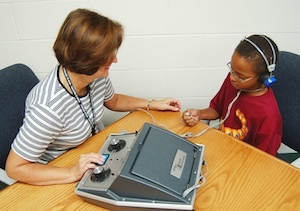 Using age appropriate screening equipment, IHS nurses will assist Head Start programs, child care facilities and ISDs with mandated state and federal requirements. Innovative Health Solution nurses are certified spinal screeners for children as mandated by Texas state law. Innovative Health Solutions nurses can perform blood pressure readings to comply with Texas Health Steps Periodicity Schedule so your children will be in compliance with state law and Head Start Performance Standards. Innovative Health Solutions nurses follows the federal mandated height and weight screenings to comply required timelines. Innovative Health Solutions nurses review immunization records in compliance with the Texas Department of Health Services requirements. 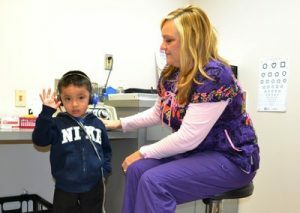 Innovative Health Solutions nurses will do individualized action plans for children with medical conditions. Innovative Health Solutions nurses will train your teachers and teacher aids regarding the child’s medical condition, what symptoms to watch for, and what steps to follow in order to provide a safe, learning environment for every child.